Home » Looking For Septic Tank Replacement In Everett? Looking For Septic Tank Replacement In Everett? There are many factors to take into consideration if you are having issues with your septic system. If you are concerned about having to think about septic tank replacement in Everett, you should know that working with the right team of professionals will give you the answers you are looking for. You already know that regular septic maintenance is crucial if you want to keep your septic system up and running. However, if it has been a long time since your septic tank has been pumped or you are starting to notice funky odors coming from the area of your tank, it may also be time for a septic inspection. During such an inspection, the septic professionals will come out to do a thorough assessment of your septic system to see what needs to be repaired and what may need to be replaced. Should it come to be that you need a septic tank replacement, hiring the pros for the job will always give you the best result. Our staff at Schleg Valley Construction has all of the experience and equipment necessary to help with your septic tank and any septic concerns that you may have. 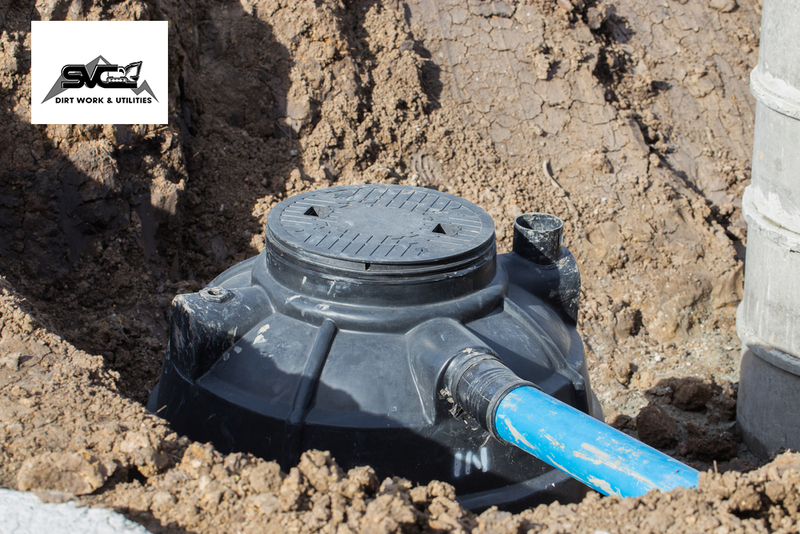 We have the ability to get in and out to provide you with high quality and long-lasting results so that you will have a fully functional septic system for your property. Contact us today and we can send technicians out to take a look at your septic system to see if a repair or replacement is required. We will provide you with a detailed cost estimate for the work and everything we do is also fully guaranteed. 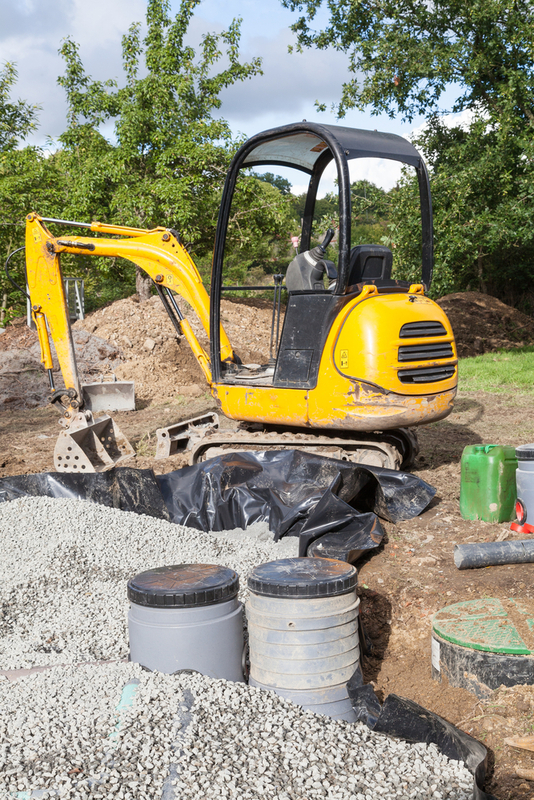 A septic tank replacement in Everett is best left to the professionals. Call Schleg Valley Construction at (425) 312-6750 for septic tank replacement in Everett. Stop for a moment and think about what could happen if you have a sewer line that is not installed in the right way. A line that has been laid poorly can collapse under pressure or there may be a small crack that can compromise a section – and these are issues that can strike when you do not choose the right company for sewer installation in Monroe. In order to be sure that you have a sewer line that is put in the right way and it works smoothly, contact the experts. Even if you have some experience working with sewer lines and drains, the experts will always come to the job with all of the right equipment and manpower to get it done right the first time. When Will A New Sewer Line Be Necessary? While you never want to have tree root infiltration or a pipe that bursts at the last minute, these are sometimes things that you cannot avoid. Schleg Valley Construction is available to assist with any sort of emergency repairs that you have – including tree root issues and paper clogging. Replacing a sewer line is a major job and it will include the gathering of permits and making sure that everything is completed to code. We are here to take care of all of the details for you and we have all of the necessary experience to get the project finished in a timely fashion. Once you call us, we can send a technician out to your property to take a look so that we can determine your needs and put together a plan of action. Schleg Valley Construction is available whenever you need sewer installation in Monroe. Give us a call at (425) 312-6750 for a detailed cost estimate. How can you tell when it is time for you to think about replacing the septic system on your property? This is a piece of the network that is crucial for a properly functioning household, so having a septic system that works flawlessly is important for everyday life. When you start to see some of these signs and symptoms, you should start to put the notion that you need to replace septic system in Snohomish County in the front of your mind. Whenever soggy ground or puddling develops around your property where your septic tank or drain field is, this is an indication that something is going wrong with your septic system. These puddles can be a sign of failure or a potential backup that will have to be addressed as soon as possible. It is always nice to have a lush, green lawn. However, when there are just patches of green grass popping up around your septic system, it is time to have the setup inspected. There could be a leak that is leaching out into the soil, which is where the bright green vegetation is coming up from. Does it seem as though you are having to get your septic system pumped and checked out more often than before? Consistent problems can tell you that it is time to think about a replacement. Someone who lives in an older home with an older system should also think about having a new system designed in the near future to avoid the potential for costly repairs. Are you still unsure as to whether or not it is time to replace the septic system that you have in place right now? We can help you make a determination when you call us at Schleg Valley Construction to do an inspection. You can count on us at Schleg Valley Construction when you are looking to replace septic system in Snohomish County. Call (425) 312-6750 for a consultation. For any home that requires wastewater removal that is unable to hook up to the local sewer lines, having a septic system is crucial. If you are looking for a good septic installation company in Stanwood that you can count on, you will want to do your research. The manner in which your system is installed sets the tone for any potential issues and overall function into the future. When you hire the experts for your septic system installation, they will take the time to make sure that you have the right system to measure up to your household’s wastewater output. In addition to making sure the size and type of system are correct, the right company will also painstakingly map out the location and design to ensure everything is done correctly right from the beginning. As you look around for installation company options, be sure to do your research to determine the level of experience as well as any licensing and certifications they have. If there are unhappy customers, the chances are very good that you will find plenty of reviews pointing to their disapproval online. Try to be sure that you choose a company that has a good track record or at least always makes sure that they remedy any situation that may have been their fault. At Schleg Valley Construction, we work hard to make sure our customers are happy with our septic installations and all other septic work we provide. If you are looking for septic design and installation, we would be honored to discuss your needs and get started on a quote and design for you. 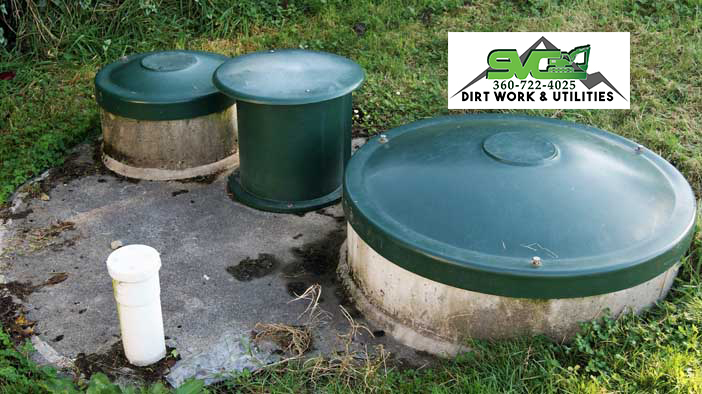 Working with the right septic installation company in Stanwood makes a world of difference. Call (425) 312-6750 to talk with us at Schleg Valley Construction. If you find that you are faced with some sort of sewer pipe problem, you may not have to think about a total replacement. When you contact the right team of trained professionals, you may be able to enjoy sewer pipe repair in Issaquah to get the job done. Dealing with sewer issues is never fun, but you will always find that making a smart selection for the professionals to remedy the problem will make all the difference in the world. Any sort of sewer backup of wastewater can make quite a mess that quickly leads to potential water damage and health hazards for your household. If you have ever been through a drain or sewer backup, you already know how important it is to get help as soon as possible. However, if you seem to be dealing with sewer issues more often than before, it could be pointing to a major issue with your sewer pipe itself. At Schleg Valley Construction, we have a team dedicated to bringing our customers the affordable and long-lasting sewer pipe repairs that they need in Issaquah and the surrounding areas. All you have to do is give us a call and we can send someone out to talk with you about your construction project, blockage, old pipes, and any other sewer woes you may have. We can talk with you about main water line repairs, traditional sewer repairs, and trenchless sewer lining and repairs. You can count on us for our trained staff and all of the equipment and manpower necessary to get the project off and running in no time at all. Our staff works hard to bring our sewer pipe customers quality and dependable services – and we are also available for emergency calls! 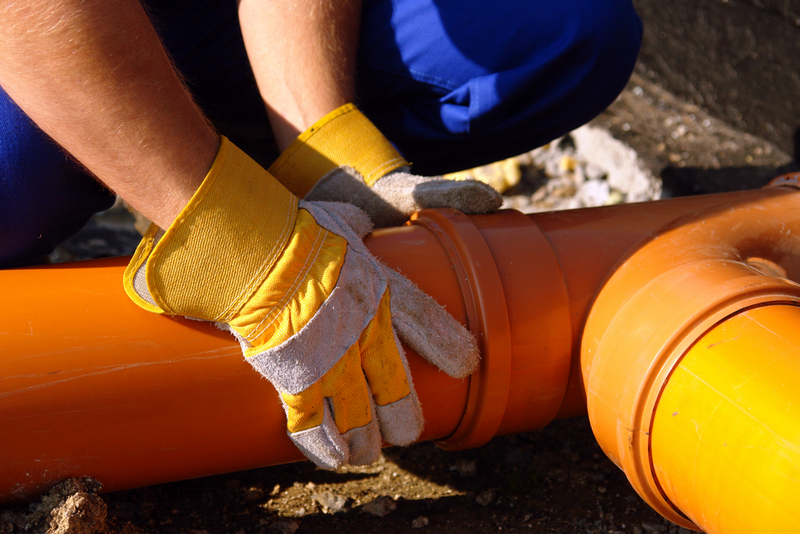 When you need sewer pipe repair in Issaquah, you should only work with the best. Call Schleg Valley Construction today at (425) 312-6750 for an estimate. The septic system for your home is a very important component that needs to be cared for properly. After all, the septic system is responsible for taking the wastewater from your home where it can then be treated. If you happen to have a system that includes a pump and something goes wrong, you will need to call a septic tank pump repair service in Kenmore that you can trust to get the job done. It is not all that uncommon for a homeowner to completely forget about their septic tank until something goes wrong. However, you can get on a schedule for regular maintenance with Schleg Valley Construction. What this does is give us time to come to your home to check your septic system at regular intervals so that we can detect potential problems before they turn into something major. When it comes to something like your septic tank pump, you could have an issue with frequent clogs or the alarm system might be faulty. These are issues that we will be happy to address for you when you call us to come to take a look at your system. Of course, there can be some other issues developing besides a problem with the septic pump, which we can also address with further inspection. You might have a full tank, there could be wall corrosion, you might have drain field problems, and more. No matter what the issue might be, you can trust that our trained and licensed technicians will find the problem and formulate a plan of action to get it fixed for you. If you need help with septic tank pump repair service in Kenmore, you can count on Schleg Valley Construction. Call us today at (425) 312-6750. The failure of your septic system could be caused by a variety of factors, including the flushing of the wrong items, excessive use of your garbage disposal, and more. The good news is that many issues can be thwarted by having regular maintenance and service, so you need to know that you have a good septic system pump repair service in Shoreline that you can trust. Pooling Water – Any marshy areas or water pooling around the area where your septic tank is located could be pointing to a leak and moisture getting out. Look at the area to your lawn around the drain field and if you see water at all or you have lush, green patches, there is a problem that needs to be addressed. Bad Smells – Your nose will tell you if there is a problem because you will start to detect foul, strong odors that come from your drains inside the home or the portion outside by your tank. Slow Drains – One slow drain may not be a problem, but if you are noticing more than one drain in your home is acting up, the pump may have given out and you are not getting rid of wastewater efficiently. Backups – Nobody should ever have to deal with wastewater backing up into the home but it can happen if the septic pump fails. The moment you notice wastewater coming into the drains and any sort of debris, you need to call the professionals right away. You should never let issues with your septic pump fester. Call Schleg Valley Construction at (425) 312-6750 for septic system pump repair service in Shoreline. Any clog that is located in your sewer line can lead to damage faster than you think. Once you feel as though there is something going on with your drainage system, you need to call the professionals to unclog sewer line in Redmond so that you can get the fix that you need, fast. There may be waste that is beginning to back up in your pipes. You could notice that there are foul smells coming from your drains or you are having water that is slow to go down the drain or your toilets. These are indicators that there is a clog that is gumming up the works and it is always best to let an expert handle it so that you are not faced with more damage and costly repairs. When you call the professionals to help unclog a sewer line, they will first have to come out to inspect your home and your lines to see what is going on. If it seems to be more than a simple clog that is not all that far down the piping, they may be able to fix it quickly without much intervention. However, if it seems like the blockage is deeper into the line, they will have to use inspection camera technology to get a closer look. 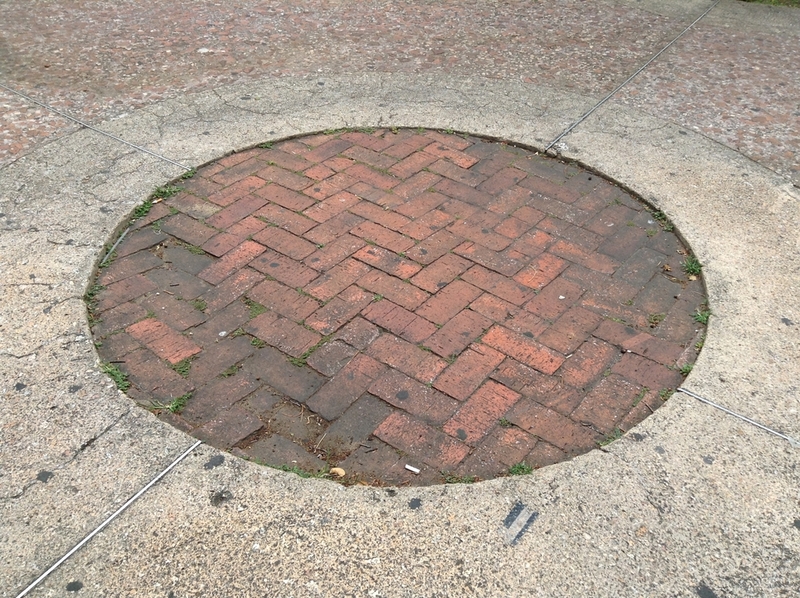 After locating the clog, the professionals have a variety of measures that can be taken to dislodge whatever is blocking up your sewer line. If you have roots in the way that have infiltrated the line, they may use high-pressure water or sewer jetting to get the debris out of the way. From there, they can further inspect the line interior with the camera to determine the next steps for repair or replacement. Whenever you need someone to help with your sewer lines, contact Schleg Valley Construction to unclog sewer line in Redmond. Call us at (425) 312-6750. Anyone can tackle smaller drain issues in the home, but there can always come a time when there is a problem that should be addressed by a professional. If you have noticed that several of the drains throughout your home are slow to empty or you are noticing foul smells emanating from them, you can contact someone about sewer jetting in Bellevue. If you have never heard of sewer jetting technology, you will find that this is an effective and safe manner of cleaning out the drains and sewer lines for your home. Sewer jet equipment used by professionals include a specialized nozzle that is attached to a hose as well as a powerful motor for projecting out the high-pressure water. When the water is introduced to the clog in your drain or sewer line, it will start to break up and blast away the debris. When it comes to water-based drain cleaning technology, you have all of the power you need to clear the blockage but you are not damaging the inside of your pipes. 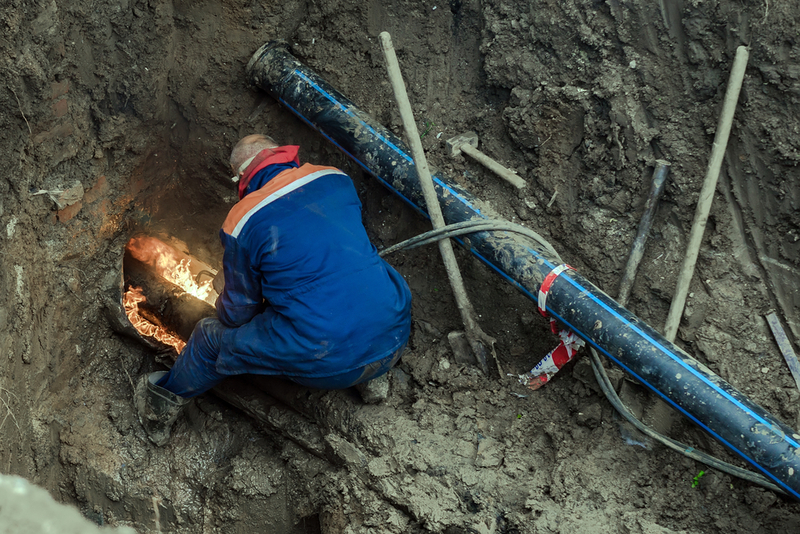 If there is some concern about where the obstruction might be or the scope of it, the professionals also have the ability to use video camera technology to inspect the pipe to pinpoint the location. Whether you have roots infiltrating your sewer line or you have debris that has caused the clog, Schleg Valley Construction can come out to take a look and get to work on blasting out the blockage. We have the latest sewer jetting equipment and the trained technicians that you can trust to get the job done quickly and efficiently. Sewer jetting in Bellevue is great for helping clear out sewer line blockages. Call Schleg Valley Construction at (425) 312-6750 for an appointment.